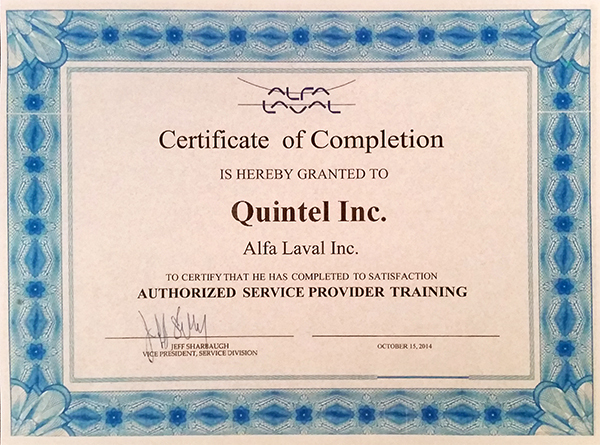 Quality Assurance is an integral part of the Quintel, Inc. heat exchanger reconditioning and repair process. We follow a strict Quality Assurance Manual for each and every job that crosses our path. All work scheduled to be performed on the heat exchanger in our shop or at a customer facility is reviewed by the customer with the Quintel team before the work begins. We assign each job its own identification number with associated paperwork that contains inspection findings, repairs required, repairs performed, material certification reports, test procedures, duration and pressures of the test procedures, and comments on findings not otherwise covered. Test results are then entered in our computers for record keeping and preventive maintenance evaluations. The history of the unit, all test results and any videos/DVDs produced will be supplied to the customer for their records. Finished work leaving our shop is shipped whenever feasible on a skid, suitable for handling by overhead crane and/or forklift, with all openings covered, and prepped properly for long term storage. This thorough process ensures customer satisfaction and positive results with every job. No job ever leaves our shop without having 100% positive test results. We hold our customers and our work with the highest regard and our performance history will prove that quality can be found in our attention to detail as well as our customer service. 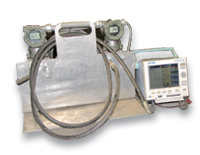 Quintel, Inc. offers the same warranties for equipment as you would find direct from an OEM. 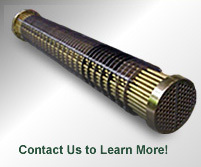 Every heat exchanger unit that leaves the shop is guaranteed against leaks. We provide a one year warranty on all workmanship and repairs performed on a customer heat exchanger provided the heat exchanger has not been subjected to misuse, damage, or improper installation and has not been modified in any way. Warranty work can be performed either in our shop or at the customer facility. Request a quote online or by calling 219-322-3399!